Marigold is perhaps the rarest color in the Millersburg Mitered ovals pattern. 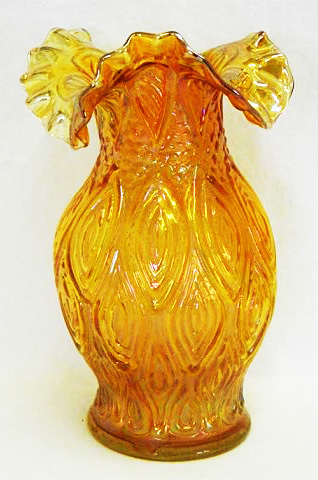 The marigold vase above sold at the Jackie Poucher auction in 2014 by Jim Seeck. It brought $12,000. 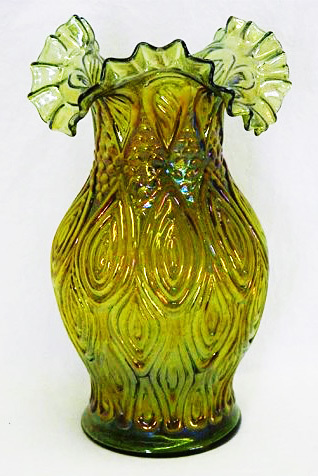 The green example above sold at the same auction for $11,000.